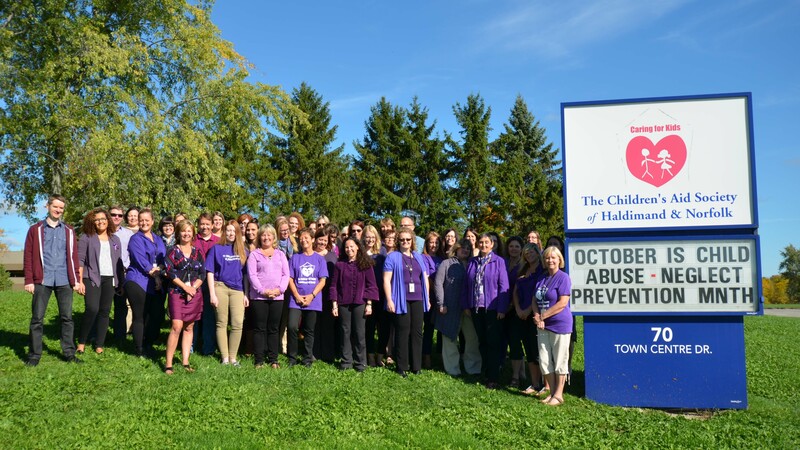 October is Child Abuse Prevention Month and the staff at Haldimand and Norfolk Children’s Aid Society are sporting their purple-wear and purple ribbons to raise awareness about our collective responsibility for the safety and well-being of children and families in our communities. By working together we can make a difference in the lives of children and youth. If you have a concern for the safety or well-being of a child, please call the CAS for help. We investigate allegations of abuse, and also connect families with services or arrange for volunteer assistance. Speak up for Kids!